If you would like to make a lasting and positive impression on your clients then a corporate magician can prove invaluable. Whether you are hosting a drinks party, conference or product launch, I can enhance the experience with top quality entertainment. I will work my magic around the tables or, in a more informal setting, at the bar or wherever the guests are grouped. Entertainment like this leaves a lasting impression and makes a great talking point for all the guests. “We were all greatly impressed, your presence not only kept the crowd interested but added an extra dimension to the whole event." Richard Baguley, CARTMELL PUBLIC RELATIONS, Blackpool. If you are holding a Christmas party for your staff or clients, magic is a wonderful way to break the ice and get everybody into the party mood. 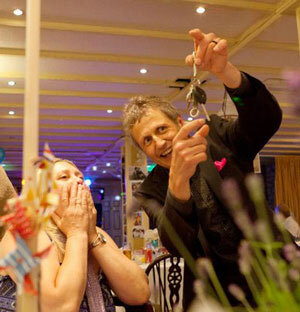 Sleight of hand magic performed at the table will turn your night into a truly memorable occasion. Many people have seen magic on television but seeing it performed up close is breath taking. If you are planning a Christmas party for your staff or clients then ask me how I can help turn your night into a huge success. “We booked Luke to be part of our shore side entertainment for cruise passengers on three occasions. These busy events can be demanding but Luke worked his magic and captivated not just the passengers but our team as well. He is a delightful entertainer and a consummate professional and we would not hesitate to call upon his services again." James Bean, SWANSEA LAW SOCIETY. If you are looking to keep the day flowing between daytime speakers or need to keep the evening bright and alive for your guests then a close-up magician can work wonders for you. I am a smart, versatile and skilled performer who will bring people together in a fun and amazing way. 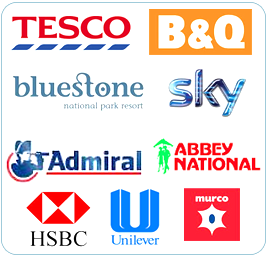 I have worked for many top companies across the UK helping them promote their businesses and products with great success. Not only does magic help promote product launches but it provides the perfect addition to dinners, staff parties and all other aspects of corporate entertainment. “One of the best shows that we have booked." 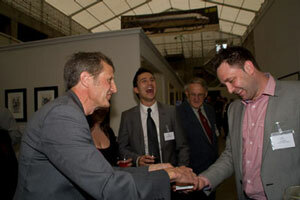 If you are planning a conference then the addition of magic can elevate the mood of the clients. In situations like this guests are often not familiar with each other and magic can act as the perfect ice-breaker and conversation piece. The magic that I perform is eye-catching and visually stunning. I also perform astonishing mind reading as well as sleight of hand magic. This combination of magic, combined with my professional appearance and easy manner will enhance any situation and make your conference one to remember. “Amazing! We will be hiring you again."